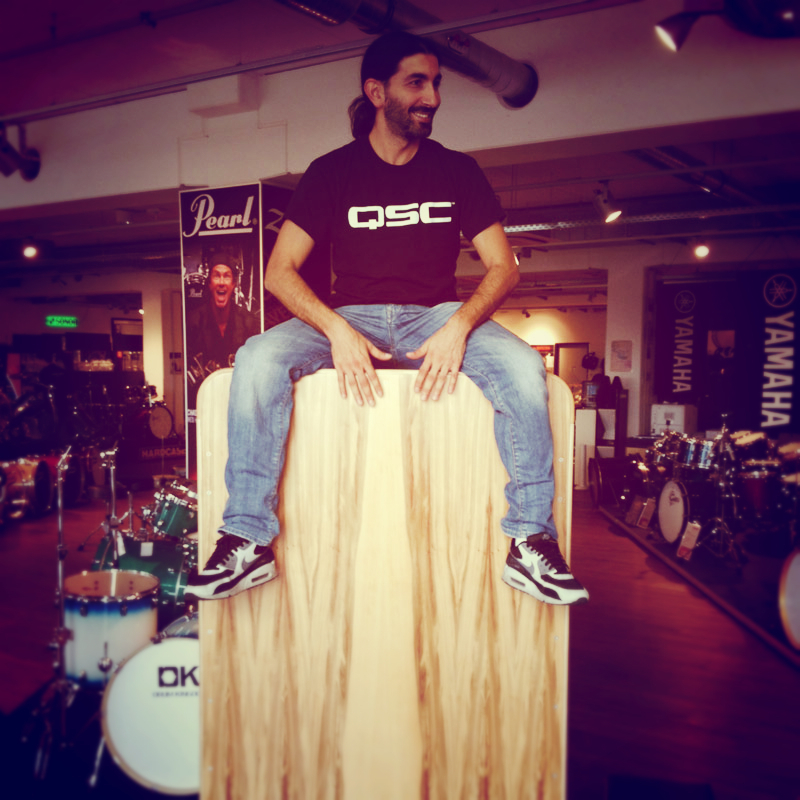 What inspired you to build an XXL Cajon? I wanted to test what is possible. It was challenging and the way to get there was an adventure, too. 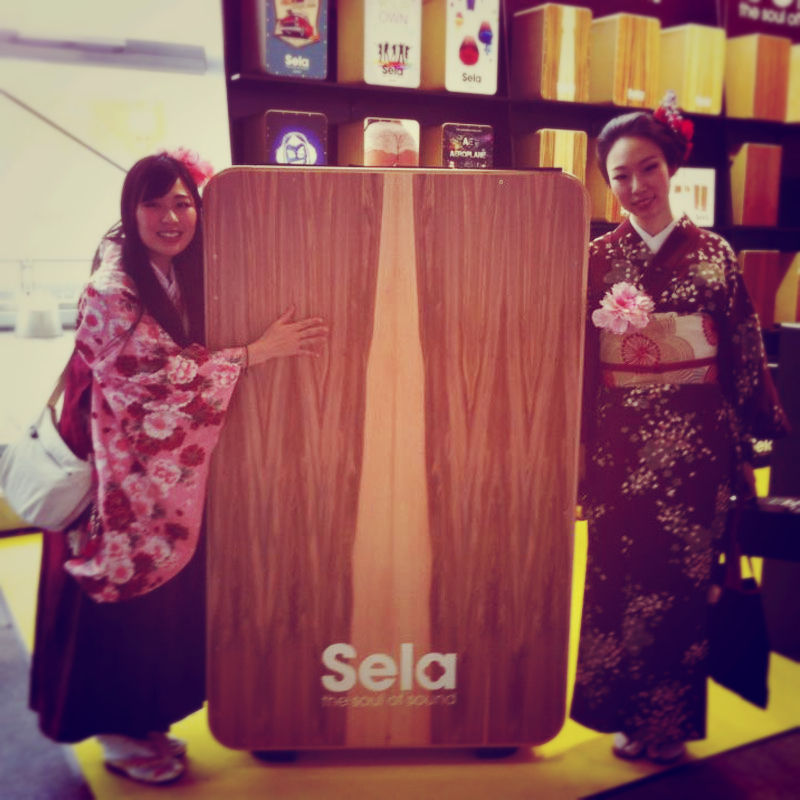 At Musikmesse 2013 in Frankfurt the XXL Cajon was presented to the public. What are the measurements of the Cajon? The CaSela XXL has a height of 155 cm. 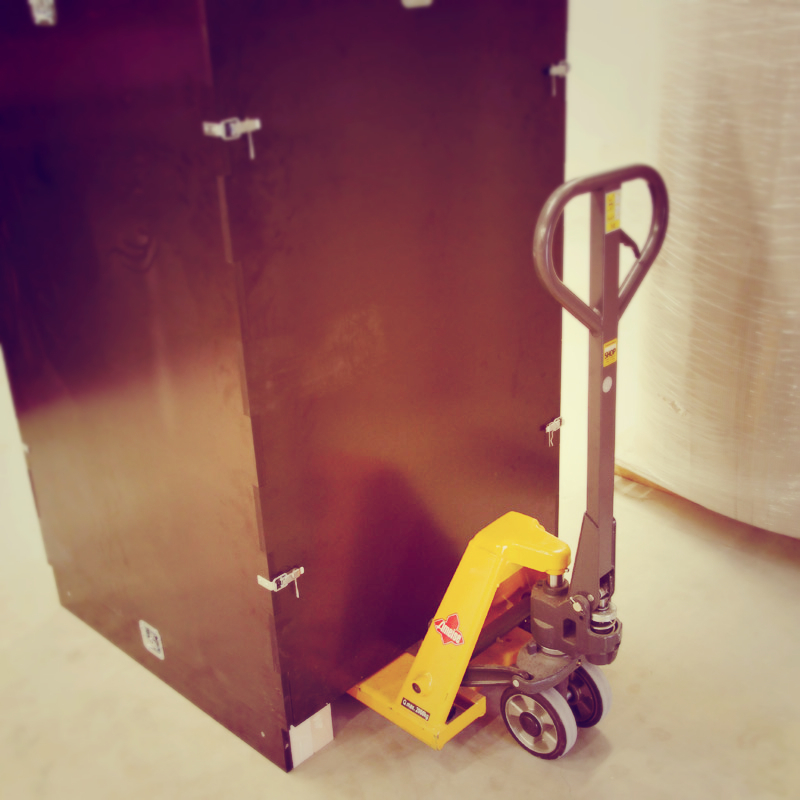 It weighs 150 kg and it can only be moved with a pallet jack. In order to play it you have to use a ladder to get onto the top of the cajon. So it is really playable? Of course, that was the main motivation. 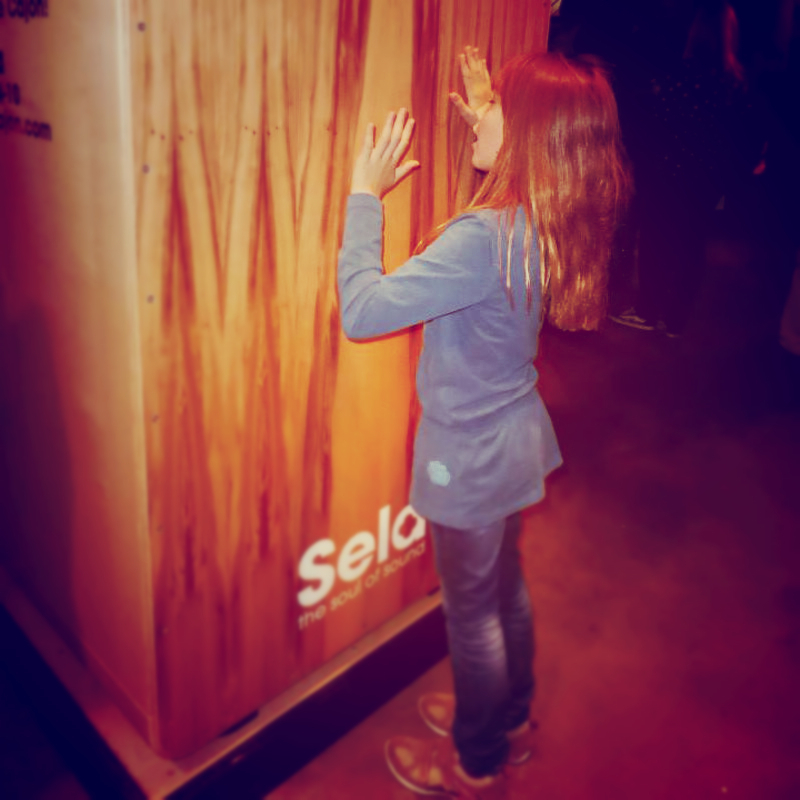 It is not just a huge wooden box with a large wooden pane. Like the CaSela Satin Nut it has a veneered playing surface, the special clap corners and the original Sela Snare System. In this case it had to be six of them to achieve the right sound. Simply XXL. 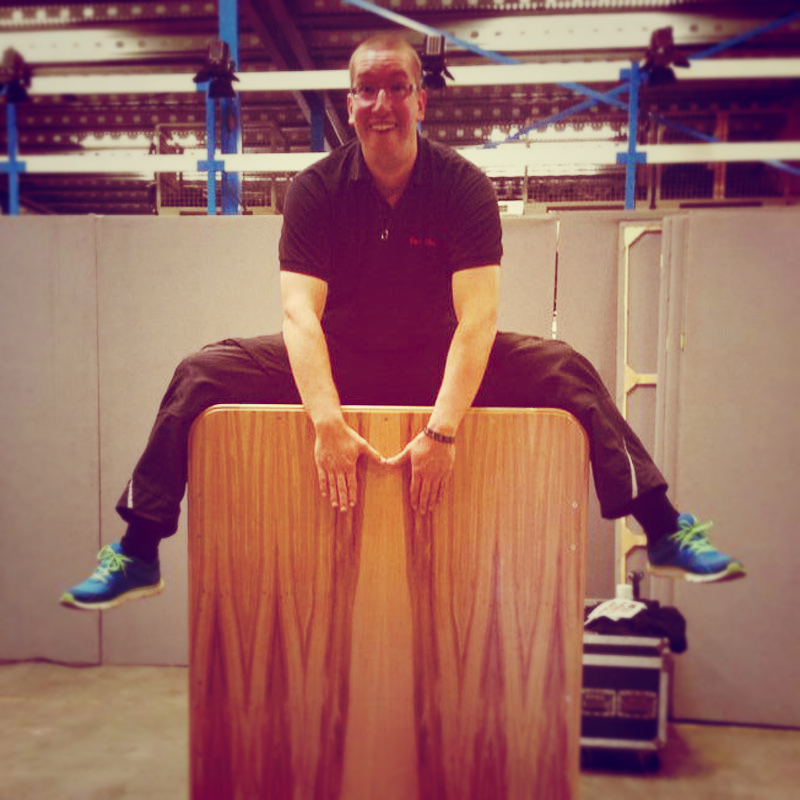 What was the biggest challenge while building the XXL Cajon? The biggest challenge was the handling. 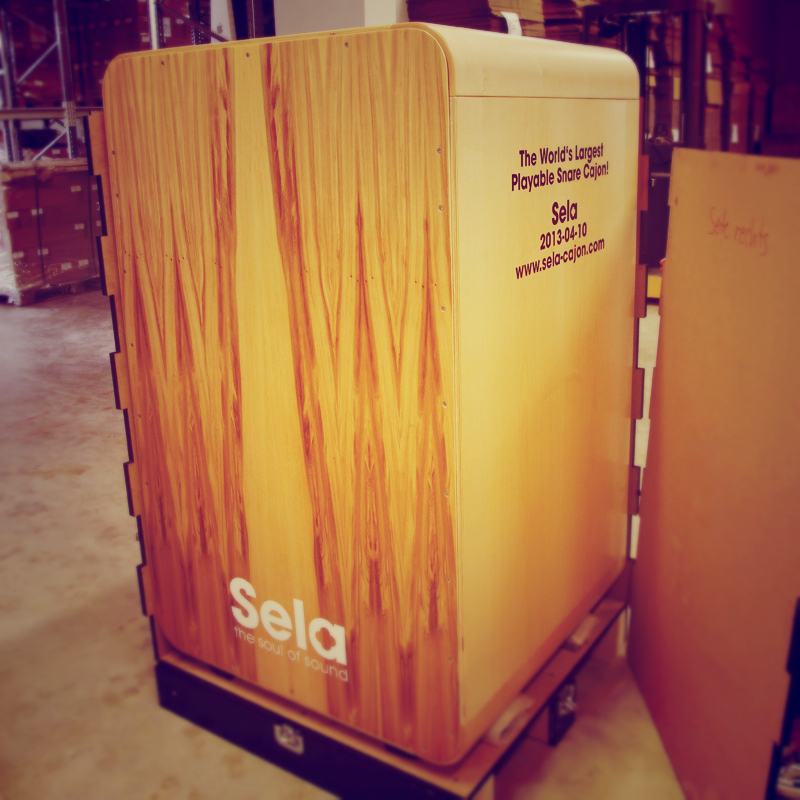 This XXL Cajon is approximately 3.5 times bigger than the original but the individual parts are far more heavy. For example:the original wooden corners have a weight of 150 grams. The XXL corners are about 12 kg each. So assemby and handling were not as easy as building the normal one. Where can I see the Cajon? 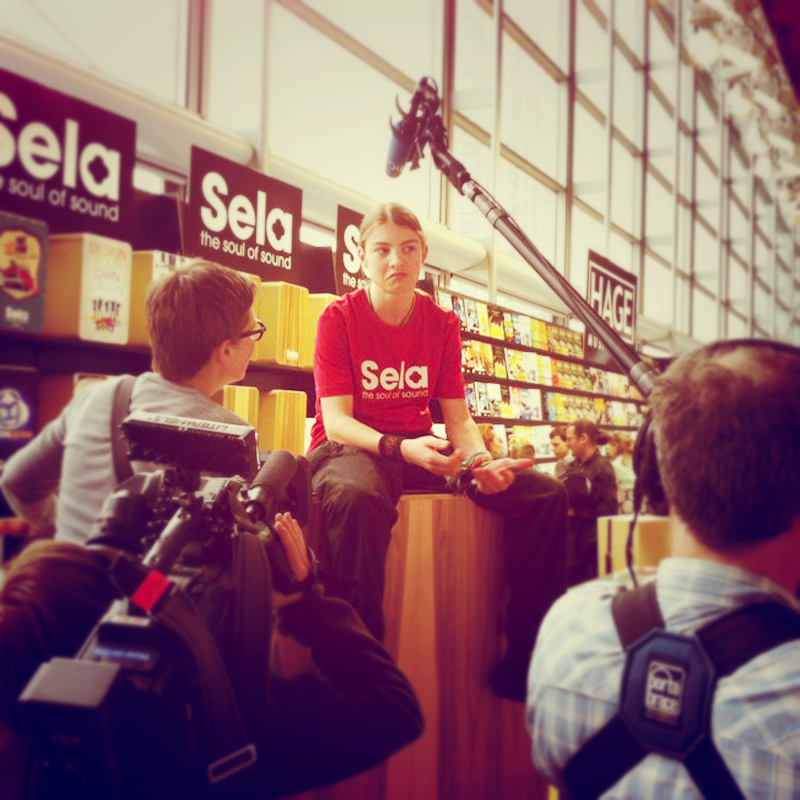 It is constantly on tour and is being exhibited in a lot of music stores.